in the Quirimbas National Park, Pemba, Mozambique. 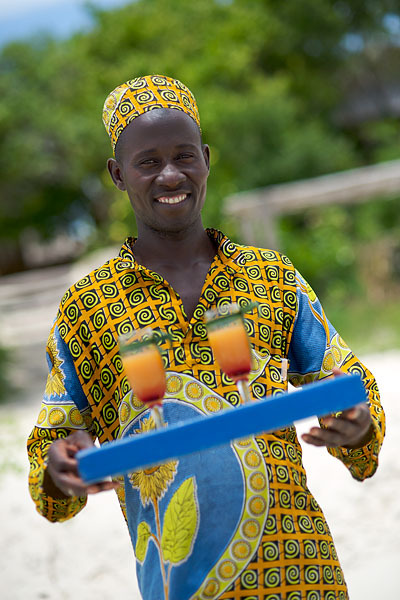 Northern Mozambique is touted to be the next travel "hot spot". It's not hard to see why... the best beaches in Africa, pristine coral reefs and rich cultures. Guludo is a small, barefoot lodge in the Quirmbas National Park, perfectly positioned to show off all Mozambique's greatest treasures. Our holiday accommodation is beautifully simple, providing everything you need and nothing you don’t. With high roofs, gentle sea breezes, beach views, alfresco en-suite bathrooms with a stunning 'loo with a view'; 'luxury' is in the form of spectacular views, space and peace. All have king sized beds or 3/4-sized twins and 1 Bandas can be used for triples. Perfect for double or twin occupancy plus a baby cot. Two adjoined Bandas; perfect for Honeymooners and Families (with max of 4 children). More than just a holiday destination, Guludo has also won a plethora of international awards for the benefits brought to the local region. 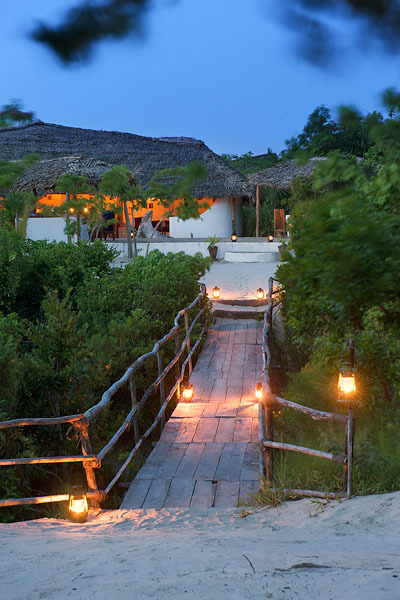 Lighting: Guludo is one of the few eco lodges that do not have electricity, making it extra special; lighting is provided by paraffin and solar lanterns. Electricity: Recharging of electronic devices is possible in the office via a small generator. Wifi: Internet is not available for guest use at the lodge; however access can be arranged if required for an emergency d to do essentials such as online check-in. Water: Running water is not available but the ingenious showers and hand washing machines are regularly replenished by the housekeeping staff. WC: Our famous "Loos with a View" are twin-chambered composting toilets which are clean and odourless.